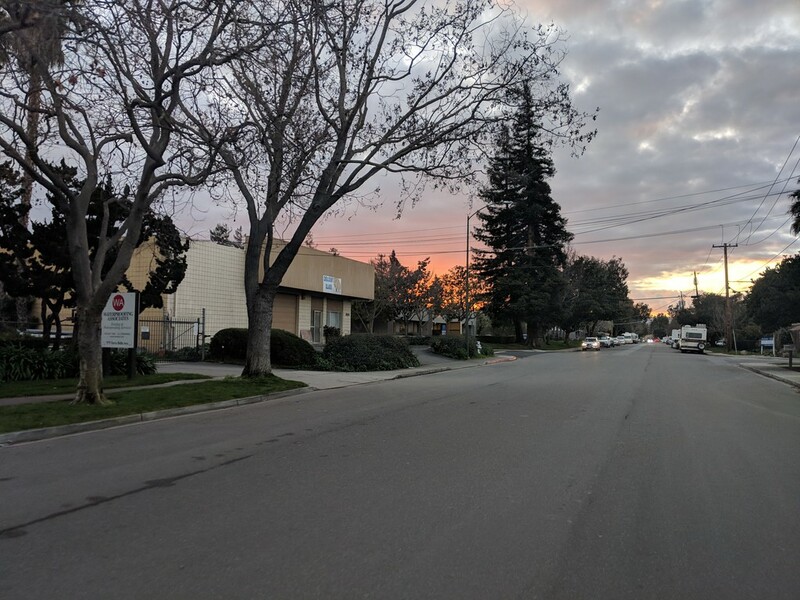 Just as I left the office this evening and got on my bike to head home, the sun was taking its last gasps, making its way down behind the hills. I didn't know this until I turned out of the parking lot, and saw the sky positively on fire, with tantalizingly brilliant hues of pink and orange and gold descending behind the recycling plant, and into the trees; I skidded my back tire briefly while deciding whether to take a photo then, and then figured I'd grab it when I had an unobstructed view around the corner. I pedaled down the road, waiting for the opportunity to see it in its full glory, but there was always something in the way. I turned facing down the foothills, but by now, just a few minutes later, it had faded to just a dull glow. I took the picture anyway. 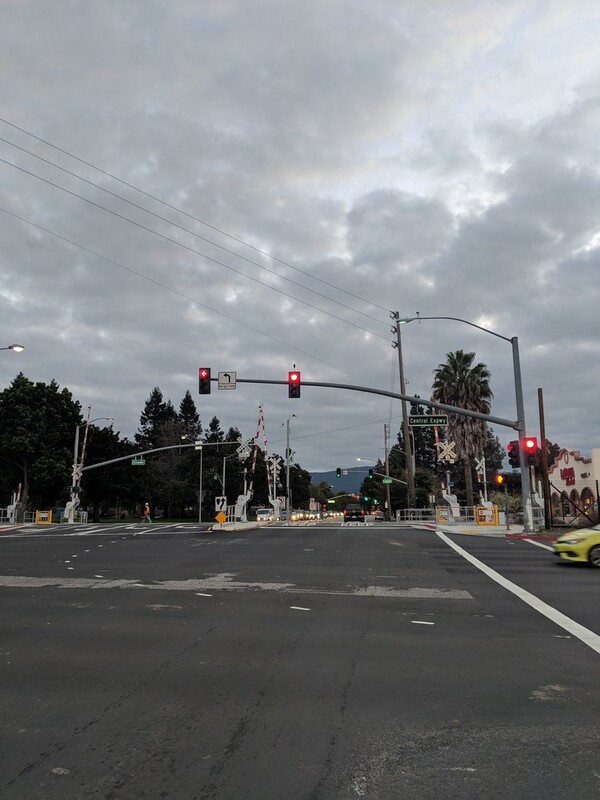 By the time I was nearly home, I stopped at a red light, and the sky betrayed no sign at all that anything had happened between me and it, now cold, grey, and unfeeling. "As is its nature", I thought. But I knew, too, that even as it turned to black now, it would surely awaken again in all its radiant warmth, even if only for moments at a time. sometimes the sky seems more like a feeling than a sight.